Sometimes eSports are about good, clean competition. Other times, they're battlegrounds for red-hot personalities (in addition to tiny virtual wizards). 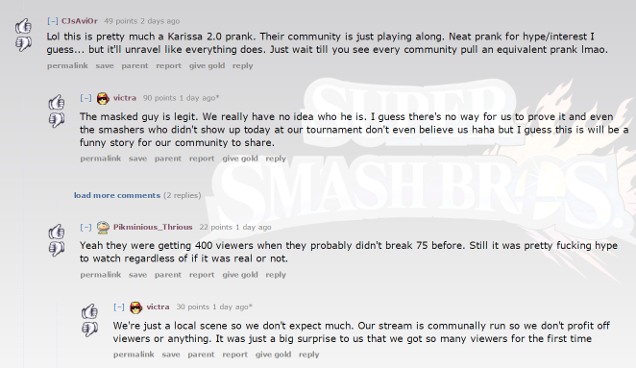 This Smash Bros player, however, was neither—only silence. Silence and a mask. OK, maybe that's a bit dramatic, but this is pretty wild. 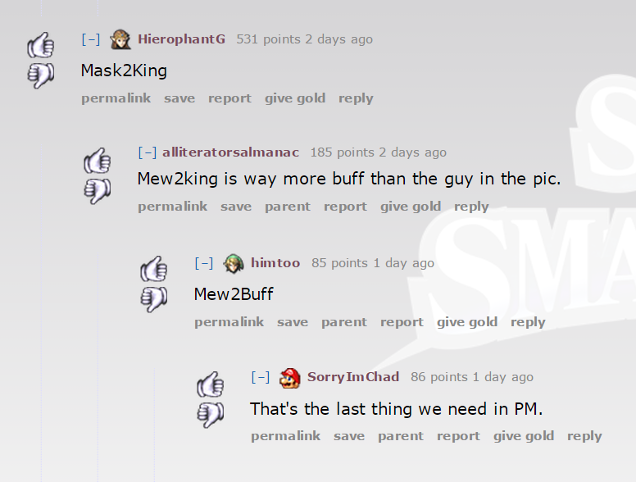 As recounted in this Reddit thread and the above video from Super Smash Bros University, an unspeaking, un-eating, probably un-feeling masked individual who wrote his name on a scrap of paper as "Falcomaster3000" recently showed up to a local Super Smash Bros Melee tournament in Edmonton, Alberta. 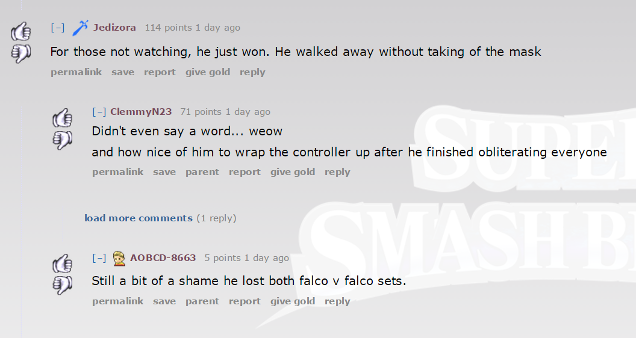 He was a blue blur of terror as Falco, and when the deck was stacked against him he'd switch to Marth or Fox. The short version? Without so much as a sentence uttered, he won the whole tournament, barely even breaking a sweat until the finals. When he won, people bellowed for him to, "take it off", but he merely offered a thumbs-up before exploding into a cloud of tiny blue birds and rocketing out the window presumably leaving. Regardless, for one brief moment The Masked Smasher silently ravaged a tournament and then walked off into the night. Authentic or staged, it's one heck of a neat story.